House of Bagels has been a winner since 2012 for its New York-style bagels and traditional baking process. In business for over 20 years, House of Bagels uses natural, unprocessed ingredients to make the dough every day, before boiling the bagels and topping them off with seeds, cheeses, sugars and more. House of Bagels is open from breakfast through lunch and offers special catering events. Alexander's Patisserie bills itself as a European pastry shop in the heart of the Silicon Valley. 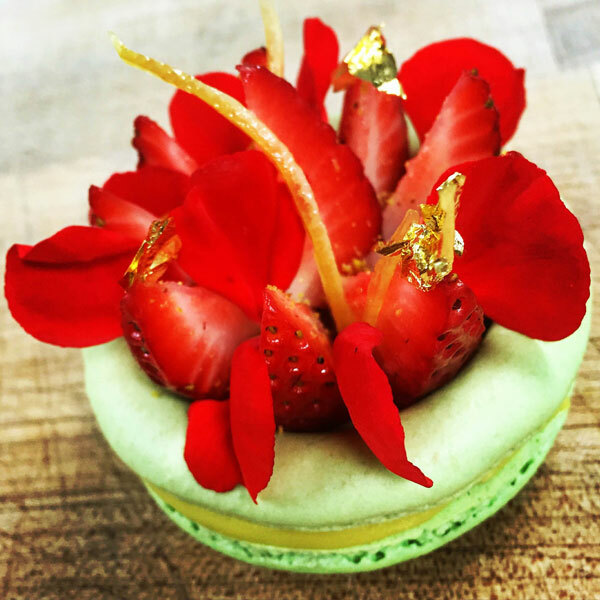 The business is lead by executive chef Dries Delanghe who incorporates seasonal ingredients, his traditional European training, and contemporary techniques into his pastries. Alexander's Patisserie offers a large selection of house-made sweets including cakes, tarts, cookies, French macarons, chocolates and confections. Although Molly MaGees is a first-time winner, its been serving up drinks since it was first established in 1997. This authentic Irish pub experience gives customers the kind of laid back, homey atmosphere perfect for knocking back drinks and watching soccer or listening to their in-house DJs on weekends. Daily specials include the Jager bomb and the Reyka Bloody Mary. On Whiskey Wednesdays, all whiskeys are half-price. Armadillo Willy's offers barbecue flavors with its Texas-inspired, wood-fired meats. The restaurant was founded by John Berward more than 30 years ago to bring a little bit of that legendary Texan barbecue to the heart of the Silicon Valley. 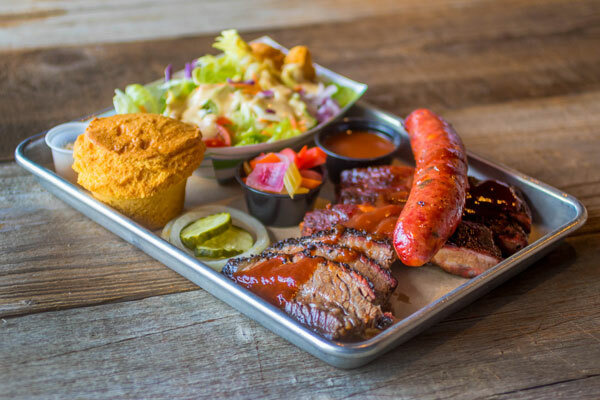 Signature dishes include the Texas jalapeno-cheese sausage and their "Texas Trinity BBQ Plate," a selection of brisket, ribs and sausage sure to please any meat lover. If you want old-fashioned, charcoal-grilled burgers, then Clarke's Charcoal Broiler is the way to go. 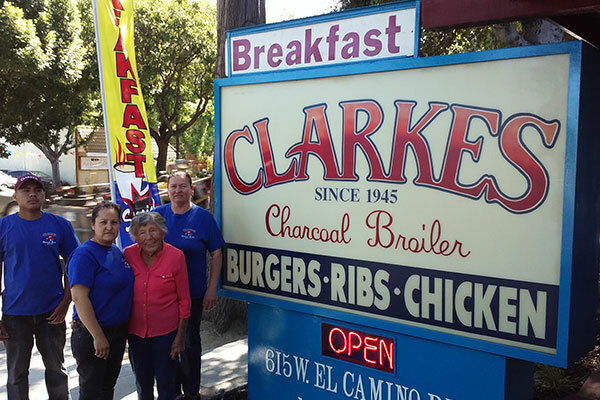 A Mountain View mainstay for local burger lovers, Clarke's has been serving up burgers and malts since 1945, weathering some management changes over the years. The Clarkesburger is a favorite menu item to enjoy on the dog-friendly patio or inside watching the game. Those in the mood for a splurge opt for the pork baby back ribs and the side orders like chili fries and beer-battered mushrooms. On the weekends, check out the special breakfast menu featuring pancakes, omelets, and a dish named after Mountain View. As the one-time Guinness Record Holder for the World's Largest Burrito, La Costena is known for its super-sized burritos and its bean, rice and salsa fillings. But if burritos aren't your thing, then try out La Costena's carne asada, a grilled sirloin steak, or try their pollo en mole, a chicken bathed in mole, the traditional Mexican sauce made with toasted bread, nuts, cinnamon, and a host of other spices. The menudo served on weekends only. Dittmer's Gourmet Meats & Wurst-Haus has been offering an old-fashioned butcher shop and delicatessen experience since it first opened in 1978. Now relocated to Los Altos near the Mountain View border, Dittmer's still offers sausages, smoked meats, fresh meats and house-made lunch meats. Appreciative customers have come to expect the more than 100 house-made and specialty items offered on a daily basis. 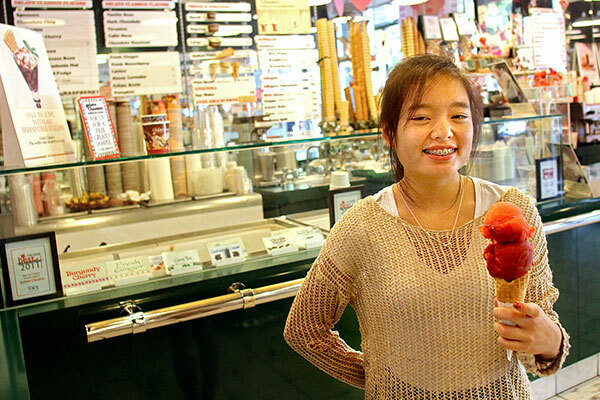 For a touch of Italian charm in your frozen treats, check out long-time reader favorite Gelato Classico. The ice cream shop offers a taste of the romantic European getaway in every bite of their Italian ice cream and sorbets so it's no wonder customers can often be seen forming a long line outside the shop. Once again, Maru Ichi has proven it's a Mountain View favorite for its affordable prices and richly flavored homemade noodles. Our readers love the miso ramen for its spicy heat and the tender tilapia over a special sauce. Opt for a steaming bowl of of the signature ramen or try the soba and udon noodles served in savory broths with a variety of toppings. 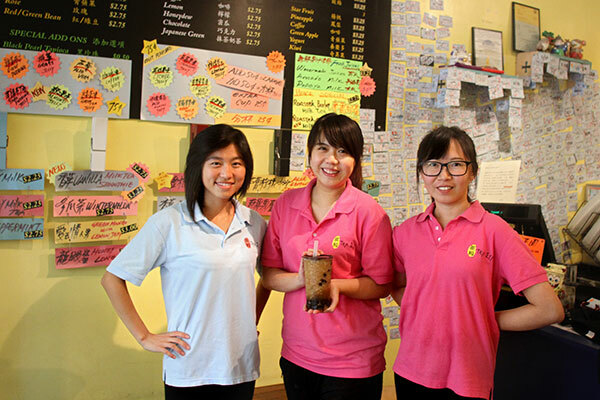 Tea Era Taiwanese-inspired tea shop, emerged victorious amid a crowded field, with its milk teas, flavored teas and smoothies. Customers can also try their boba in smoothie form with pearls. Patrons also favor the pudding and shaved ice they offer and anyone looking for a light snack can try out the fried calamari, popcorn chicken or Taiwanese sausage bento. Named after a train that runs from O'Hare Airport to downtown Chicago, Blue Line Pizza serves up — what else? — deep-dish, Chicago-style pizza. One of the Bay Area branches of San Francisco's Little Star Pizza expansion, Blue Line is known for the cornmeal crust on its deep-dish pizza and for its New York-style thin-crust pizza. It also offers gluten-free and vegan pizzas, and appetizers like spicy chicken wings, spicy meatballs and oven-roasted Shishito peppers. The award-winning Mountain View Farmers Market has long been favorite with locals. Open year-round, it's the third largest of its kind in all of California. The market, which first opened 22 years ago, showcases the good from more than 80 farmers and food purveyors every Sunday near the Caltrain Station in downtown Mountain View. The market isn't just a great place to find seasonal produce — it has received Congressional recognition for its efforts to provide produce to families in need. Ava's Downtown Market & Deli strives to carry a selection of organic and gourmet food from around the Bay Area and around the world. The family-run grocery provides high-quality, locally grown vegetables, grass-fed meats, organic dairy and fresh bread. In addition to its packaged and frozen food products, Ava's Market offers house-made soups and hot table items every day for lunch. It also houses the popular Poke Bar inside the store.